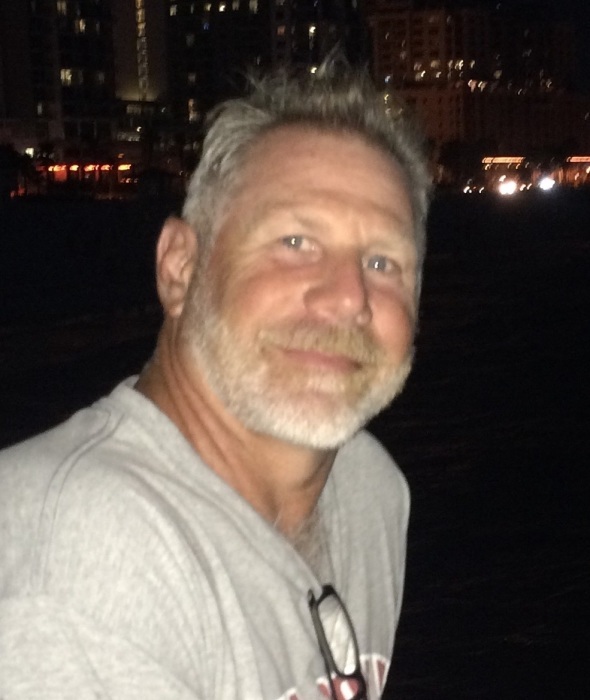 Kevin L. Finfrock of West Milton, age 56, passed away on Sunday, January 27, 2019. He was born on November 29, 1962, to George and Terry (Peacock) Finfrock in Troy, Ohio. Kevin was a 1981 graduate of Covington High School. While there, he excelled in the sports of track, basketball, football, and baseball, which led to his induction into the Covington High School Athletic Hall of Fame. He went on to earn his bachelor’s degree at Defiance College, where he played football and holds a place in their Athletic Hall of Fame as well for his accomplishments there. He enjoyed coaching and sharing his love for the game of football with many young people over the years. He was an avid golfer in recent years, and as with every area of his life, he worked and competed hard to achieve excellence at his sport. While he achieved much success in his athletic pursuits, his greatest source of pride and joy was his family. He was a loving husband and father, supporting his wife and children in whatever they did, and his recent title of “papaw” to his grandson Leo may have brought him the most joy of all. He will be forever missed and in the hearts of his loving parents; devoted wife Diana (Brumbaugh) Finfrock; children Kaci (Philip) Matthews, Jacob Finfrock, and Jessica (Joseph) Taffe; grandson Joseph Leo Taffe IV; siblings Deanne (Rick) Rhoades, Heath (Angie) Finfrock, Angie (Jeff) Schultz, and Becky (Craig) Ross; and many nieces and nephews who loved their Uncle Kevin very much. Funeral services will be held at 10:30 AM Saturday, February 2, at Community Grace Brethren Church, 2261 S. Miami Street, West Milton. The family will receive friends from 3-7 PM Friday at Hale-Sarver Family Funeral Home, 284 N. Miami Street, West Milton. In lieu of flowers, memorial contributions may be made to the Alzheimer’s Association or the American Heart Association.